The present financial meltdown may only be the latest example of the incalculable harm done to civilization, and countless individual lives, by psychopaths, a subspecies of Homo sapiens. It’s verboten to draw any parallels to Adolf Hitler, but I’m sorry, Hitler wasn’t the only Hitler in history. Yes, he was one of the more successfully evil mental cases, but his malady wasn’t unique. Sometimes the big examples shine light on the little ones. 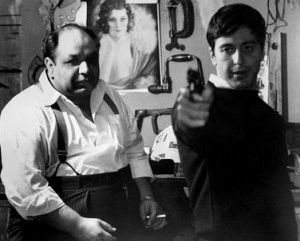 Peter Clemenza was right about Adolf Hitler. You know, you gotta stop them at the beginning. Like they should have stopped Hitler at Munich, they should never let him get away with that, they were just asking for trouble. And why haven’t Americans done more to stop the nuts, flakes, and fruits from making a mess of our government at all levels? It seems to me it’s just a matter of too many people ceding their responsibility of self-government to others, too many of whom are defective individuals. By 1900 the label was changed to psychopathic personality, but it wasn’t until 1941 that psychiatrist Dr. Hervey M. Cleckley of the Medical College of Georgia systematically defined the condition. A psychopath is a person without conscience, empathy or even an ability to experience the range of human emotions. Their ability to feel is confined to a narrow range of primitive proto-emotions such as anger, frustration and rage. Psychopaths will tend to be pathological liars and expert manipulators, victimizing family, friends and strangers. They are not delusional, and may often be more coldly rational and intelligent than non-psychopaths. The last point is critical — they come across not as delusional but as normal people. Then you stand back and add up the consequences they’ve wrought. Like $17 trillion in federal debt and a hundred trillion plus in unfunded liabilities. Or like lavish pensions for teachers that amount to grand theft from taxpayers, born and unborn. Having known as many political consultants as politicians, let me assure you that description applies even more so to the consultant class. Keep in mind that in most cases, it’s the consultants who tell the candidates or office holders what to do, so in many ways the consultants are superior in their psychopathic abilities. Up next: One last entry on the topic of political psychopathy.